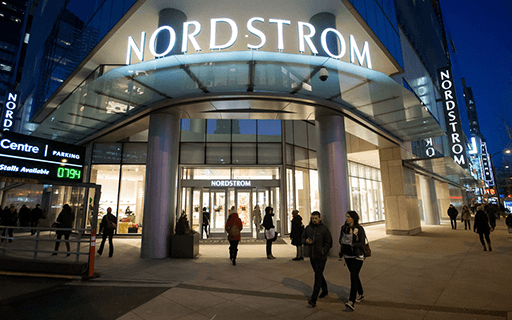 A solid relationship with Nordstrom starts with first-rate EDI. Like most retailers, Nordstrom has its own specifications when it comes staying EDI-compliant. They are not necessarily more onerous than any other store but they do require a certain level of expertise. Working with an EDI provider that has Nordstrom experience will be a real advantage. 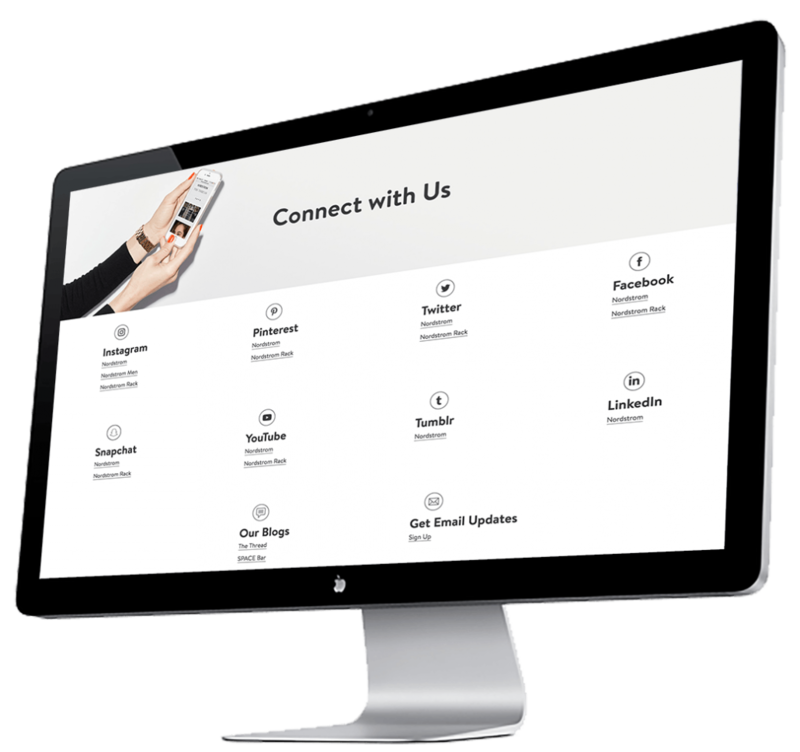 Here at eZCom, we’ve done hundreds of Nordstrom Product Group setups and we know how to make sure your relationship starts well and continues that way. With Nordstrom, you may be shipping to a distribution center, a bulk order, or direct-to-consumer. Whatever you’re asked to do, we’ve done before so we can help you manage it all and stay EDI-compliant. Among department store brands, few are responding as well as Nordstrom to the evolving retail landscape. Their digital commerce channel has produced impressive growth, while they are constantly adding new elements to their brick-and-mortar locations. Maybe it’s their headquarters location — Seattle is home to all kinds of innovative companies — and Nordstrom continues to demonstrate a willingness to try new business models. If retail is always changing, well, so is Nordstrom. While the department store category has struggled, Nordstrom has found ways to excite and attract customers. The company has pursued nascent brands that have built their success online, it has experimented with stores with a singular focus on men’s fashion, and it has built off-price Nordstrom Rack into a shopping destination and a gateway to the Nordstrom brand. Nordstrom has even introduced stores that don’t carry physical inventory — shoppers meet with personal stylists and can try some apparel on for size, but purchases are made online with delivery to the store location, usually on the same day. A department store without inventory? That’s a company that’s willing to take some risks. So there’s fresh thinking at Nordstrom. And there’s a need to get EDI right in order to build a strong relationship. Now the question is: do you want to have your brand at Nordstrom? Does it make sense for your company? How much energy should you put into getting your brand into Nordstrom stores and nordstrom.com? Well, funny enough, we have some ideas on that. Five reasons Nordstrom can be great for your brand. 1- Nordstrom is a major player with prime real estate and an expansive reach. But they are willing to take chances on new brands and small start-ups. Sure, all the big brands are there but Nordstrom shoppers also rely on the store to help them discover items they may not see elsewhere. One of those items could be yours. 2- Nordstrom carries many products for extended periods. While the store has embraced change, the company also wants to make sure its customers don’t fall in love with something and then find it missing on their next visit. If your product does well at Nordstrom, you can expect it to be showcased for a longer period than at many department store. 3- Nordstrom shoppers are loyal. The company is renowned for its amazing customer service and, as a result, people come back to the store again and again. What’s more, while Nordstrom pricing is competitive, its core customer isn’t a discount seeker. 4- Nordstrom will make your stuff look good. Walk into any Nordstrom store or visit nordstrom.com and you can see the commitment to smart merchandising and displays. The stores are thoughtfully organized, uncluttered and impeccably clean — and that reflects well on your brand. 5- Nordstrom is killing it on social media. Their channels are interesting and engaging, and they respond quickly to customers when they reach out. If Nordstrom features your brand on social media, you can expect a serious boost. Where shoppers engage with your products can be as important as the products themselves. If you are an apparel or shoe brand, and not a discount-driven purchase, Nordstrom is a store that can really elevate your brand. And if you do have your brand at Nordstrom, keep it there by taking the steps to ensure that you stay EDI-compliant.